Each financial year the Town Council has a budget which is awarded to community organisations in the town and the wider County. There are some rules and guidelines below which need to be followed and the maximum allocation in any 12 month period to one organisation is 20% of the £10,000 i.e. £2,000. To apply you will need to read the guidance form, fill in the documents below and gather some other supporting information for council to consider. Grants will be awarded at two points in the financial year - June and November Full Council meetings. Deadlines for applications are listed below. However should an organisation require emergency funding they should contact the Town Clerk on 01572 822681 in the first instance and some allowances will be made whilst Council and potential applicants transition to these new arrangements. Council may also stipulate some outcomes and from time to time ask for progress updates on projects it has financially supported. Once the budget of £10,000 is spent no further applications can be received. The financial year is 1st April to 31st March. If you have any questions before submitting an application please email or contact the Town Clerk. 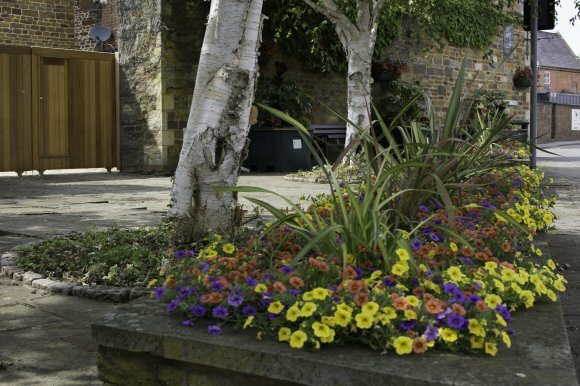 Uppingham in Bloom are among a number of recipients of grants made by Uppingham Town Council each year.